Father, we have sinned. We confess that we do not listen to your Word. We read it and hear it, but we do not obey it. We say, “That was a great sermon!” but it doesn’t make a difference, because we are not willing to change. In the name of Jesus, we ask forgiveness for these and all our sins. Being a Reformed Pastor is not the same as being a “reformed pastor”. 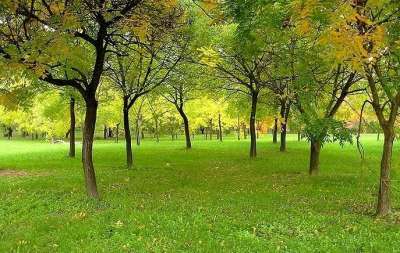 The latter is a particular understanding of the doctrines of the grace of God as taught in Scripture and recovered in the period known as the Reformation. These doctrines are then articulated and expounded in such a way that one sees the glory of God in salvation being magnified by the message of Scripture. All the contributors to this blog affirm and believe the biblical teaching of God’s sovereignty in salvation and that man’s chief end is to revel in the glory of His supreme majesty in every expression of life and ministry. 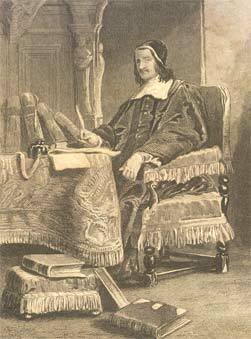 However, a strong qualification must be given at this point: reformed theology is not what Richard Baxter had in mind when he titled his work The Reformed Pastor. 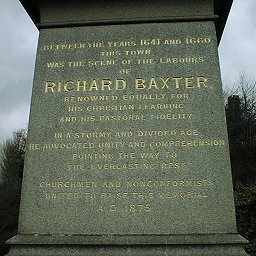 J. I. Packer notes this well in his introduction to the Banner of Truth edition, “By ‘reformed’ he means, not Calvinistic in doctrine, but renewed in practice.” Baxter writes, “If God would but reform the ministry and set them on their duties zealously and faithfully, the people would certainly be reformed. 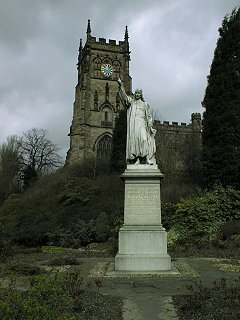 All churches either rise or fall as the ministry doth rise or fall (not in riches or worldly grandeur) but in knowledge, zeal and ability for their work.” Therefore, even the Methodist leader Francis Asbury could write in his diary (August 19, 1810), “O what a prize: Baxter’s Reformed Pastor fell into my hands this morning.” Baxter’s chief concern was the reformation of the Christian ministry. The pastors of our day greatly need to take up The Reformed Pastor and devour its message. After we have read it, we need to cry out to the Lord and repent of our laziness, our poorly thought out sermons, our disregard for the wellbeing of the flock and our desire for more numbers in the pews when we have not been faithful to the numbers we presently have. After we repent we need to shepherd the flock in such a way that the genuine character of our ministry and our deep love for the people of God is readily seen. The pastor who sees his sole task as to preach isolated sermons and not shepherd the lives of his people is a fool and has made a giant leap over such texts as Ephesian 4:11-12 and 1 Peter 5. Furthermore he may be called a preacher but please don’t call him a “pastor.” He may travel the circuit as a fine teacher of Scriptural truths even garnishing the title of “expositor” but please don’t call him a shepherd if he has neglected his calling. When I graduated from seminary, my father-in-law painted a marvelous watercolor of Baxter’s church at Kidderminster. That painting has hung outside the doorway to my study since I began ministering to the wonderful flock I serve at Grace Church. Everyday when I walk into my study to prepare for Sunday’s sermon, I am reminded that there once was a man who was deeply flawed like me yet left a legacy of pastoral faithfulness. He reminds me that being a minister of the gospel is more than crafting sermons with exegetical precision and delivering them with homiletical excellence. Like Baxter following the example of the Apostle, I need to walk beside my flock so that I can admonish the unruly, encourage the fainthearted, help the weak and be patient with all (cf. 1 Thess. 5:14). May the Lord who called us to this ministry stir our hearts by the faithful testimony left us in Mr. Baxter’s The Reformed Pastor. Philip Doddridge said, The Reformed Pastor “should be read by every young minister, before he takes a people under his stated care.” Here are a few choice quotes from The Reformed Pastor. I recently talked to a friend who was visiting new churches after relocating. After visiting one particular church he went up and visited with the pastor who asked him, “What did you think of my sermon?” As I preacher I shudder to think of asking that question to a first time visitor. Why is that? Am I afraid of an honest critique? Is it because my pride is so deeply seated that I cannot bear the thought of a needed “objective” opinion? The answer is, “yes!” But it should not be so. If I am unclear or lame in my preaching I need to hear that, often! All of these thoughts came to a head this past Sunday afternoon as I sat in our church listening to a number of men teaching in our version of a homiletics lab. In case you’re curious we adapted the material from this which I would highly recommend. While these men taught I found myself critiquing their preaching as well as my own. That was unexpected! Listening to these men [who by the way did an excellent job] I was struck by an area in my own preaching that is weak and I think it might be helpful issue to address for other young, aspiring preachers like myself. I found myself furiously writing notes about the sermon when I realized that there were many excellent points they were making that I simply could not write down or digest in the time that they were presenting them. Things like word definitions, poignant quotes, or deep insights were often lost on me because I was caught somewhere between writing/thinking/digesting and applying. In the end I had cryptic notes, confused definitions and half recorded quotes. I looked at my notes when they were done and asked myself, “What do I do with this?” No preacher wants his people to walk away with those thoughts, at least I hope not. But here’s the interesting thing, these guys were not preaching fast or giving the information rapidly [did I mention that they did an excellent job]. They were speaking in a normal pace and providing the information fluidly. But then it dawned on me. Even a regular pace is often too fast for a person who is not thoroughly familiar with the material you are preaching. I was struck with the reality that my key quotes and definitions are probably lost on the audience because I know them so well after 20-30 hours of sermon prep that I just assume that they can keep pace. I do not think that is accurate anymore. So in this moment of critiquing another brother’s preaching, my own short comings came into brilliant focus. I need to remember that the people who are listening to me do not have the benefit of hours of study that I have. They are hearing it for the first time and I need to be more careful here. I need to slow down on the points that are critical in the sermon and give people a chance to absorb. So how can we [you] improve in being better conveyors of information? I have no absolute answers here, just some thoughts that might help. 1. Repeat KEY concepts regularly. As some have said, tell them what you are going to tell them, tell them and then tell them what you told them. 2. Define words with precise terms – the fewer the better so that they get THE meaning, not all possible meanings. 3. Repeat the definitions slowly. 4. Read quotes slowly and repeat them if they need to be written for reflection. 5. If you use PowerPoint, put compelling quotes or definitions on the screen so that they can go back and write down what they missed. 7. Tell them where they need to sit up and listen if you desire them to absorb, not record. Rick Holland is excellent at this. 8. 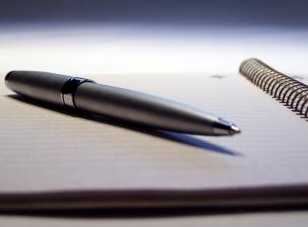 Summarize large points into a few cogent, clear-cut words or phrases that make the point. John MacArthur is a master of the synonym and this concept. He’ll repeat an idea with so many “like” words that every person is able to grasp the idea he is making with a word association. 9. Confide these things in a good friend who will give you feedback regularly. I hope you’ll take encouragement from these words about my shortcomings and maybe it will help some as it has helped me. So you wanna talk about culture? I am finding some of the discussions about culture around the blog world to be out of step with the clear imagery that Jesus uses in the Sermon on the Mount (Matt. 5:27-30). Some have become so drunk (both literally and metaphorically) with “understanding culture” that they have become unbalanced in their pursuit of holiness. While I affirm the need to understand your surroundings (like duh) this should not mean that we drink from the same putrid well that Bunyan’s Mr. Worldly WiseMan devoured. On the one hand it is a grievous error to confuse mutilation for sin with mortification from sin but it is equally erroneous to eat mud pies so you can relate to two year olds. 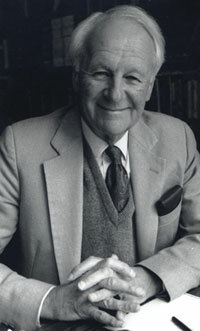 Stott keenly notes, “It is better to forgo some experiences this life offers in order to enter the life which is life indeed; it is better to accept some cultural amputation in this world than risk final destruction in the next. Of course this teaching runs clean counter to modern standards of permissiveness. It is based on the principle that eternity is more important than time and purity than culture, and that any sacrifice is worth while in this life if it is necessary to ensure our entry into the next. We have to decide, quite simply, whether to live for this world or the next, whether to follow the crowd or Jesus Christ” (John Stott commenting on Matthew 5:27-30 in The Message of the Sermon on the Mount, 91). The Together for the Gospel conference was a great experience. Seven of Evangelicalisms brightest lights gathered together to encourage, admonish, motivate, and convict thousands of church leaders (and some future church leaders). Whenever you bring together Mark Dever, Al Mohler, C.J, Maheny, Ligon Duncan, John MacArthur, R.C. Sproul, and John Piper it’s an occasion to rejoice in. Pastor Mark Dever talked about “the pastor’s understanding of his role.” He did a quick exposition through 1 Corinthians 4 showing the “Three Marks of a Real-Minister.” Those marks were a cross-centered message (vv. 1-7), a cross-centered life (vv. 8-15), and a cross-centered follower (vv. 16-21). Mark reminded us that the cross is the center, but praise God it is not the end! Ligon Duncan lectured on the importance of preaching from the Old Testament. He gave 8 major points during his lecture: 1. Please do not neglect the O.T. 2. Preach the O.T. expositionally. 3. Preach Christ from the O.T. 4. Preach one plan of Redemptive history from the O.T. 5. Preach grace from the O.T. 6. Preach the character of God from the O.T. 7. Preach experientially from the O.T. 8. Preach the Christian life from the O.T. 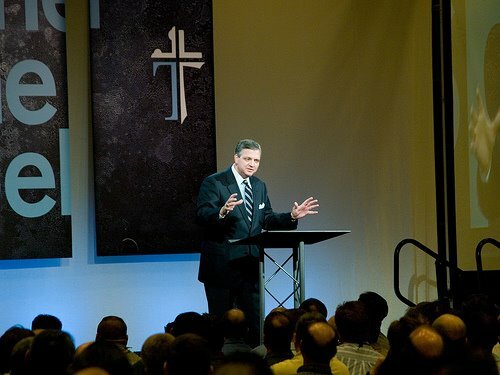 Dr. Al Mohler lectured on “preaching with the culture in view.” This was a very well balanced lecture, one that every Christian minister should listen to. Mohler pointed out 2 extremes we need to avoid: 1. Simply ignoring the culture altogether (e.g. Amish paradise). 2. Allowing culture to dominate our ministries (e.g. the Emergent church movement). Dr. Mohler reminded us that you can not withdraw entirely from culture even when you try. Culture allows human beings to relate to one another (so don’t view it as an entirely negative concept). Mohler ended his lecture explaining why culture (right now) presents some serious problems from the Christian preacher. Understanding these matters helps the preacher to be precise and more relevant (biblically speaking). Ultimately we have to respond according to whatever culture God places us in. We live in perilous times but we have the Holy Scriptures to protect and guide us on our way. The gospel is a transcultural message and it is essential for every person to embrace it in faith.